​giving you and your pet a wonderful experience. For your pet, a trip to the vet can sometimes cause fear, stress, and anxiety. To solve this problem, we've created a place where we not only take care of your pet's physical needs, but their emotional needs as well, all with exceptional quality and service. Ultimately, you and your pet leave happier. Our mission is to serve our community by providing excellent veterinary care and compassion to our patients while exceeding expectations in value and service for our clients. People often ask what makes us different. The Healthy Pet understands that you can find care for your pet in a lot of places, but you won't find a place like this. We invite you to come experience what it's like to have you and your pet be exceptionally well cared for in a comfortably hip, boutique-style environment. 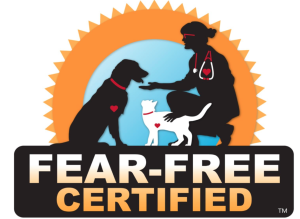 ​The Healthy Pet Veterinary Clinic is located in the Westridge Shopping Center in McDonough, GA. We place a priority on ​wellness and preventative care for your pet because a healthier pet today is a happier pet tomorrow. Focused on exceptional care and unmatched client service, The Healthy Pet is a different kind of veterinary clinic. ​to book your appointment now. "Dr. Kate always answers my questions and gives her expert advice. This is the only place I trust to take care of Vin." "You CANNOT ask for a better vet!!"